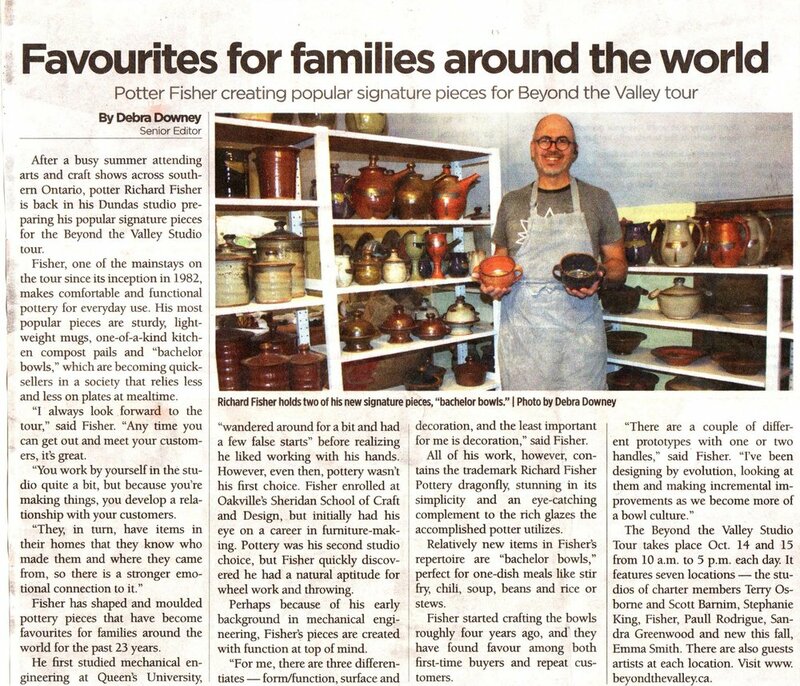 Richard Fisher Pottery in Dundas, Ontario makes very functional and comfortable stonrware pottery and is well known for his very popular mugs and compost pails. Richard Fisher Pottery makes extremely comfortable and functional pottery for everyday use. We are well known for our very popular kitchen compost pail. 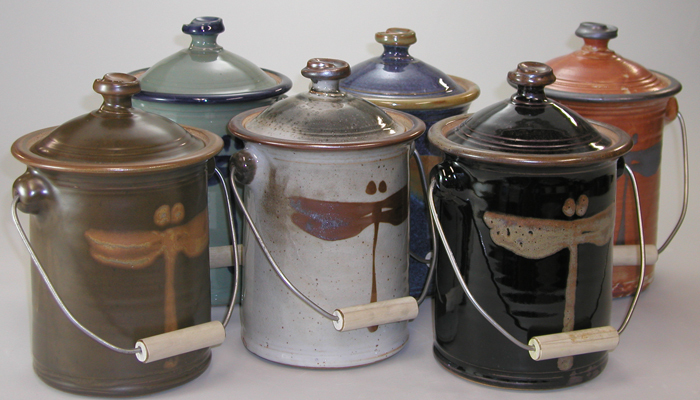 Our hand made stoneware is durable and safe in both microwave and dishwasher. Sign up with your email address to receive news about sales, products, and update on Richard's pottery tour. Richard Fisher Pottery will not sell or share your contact information with anyone. Thanks you for signing up! Please check your inbox to confirm your subscription.